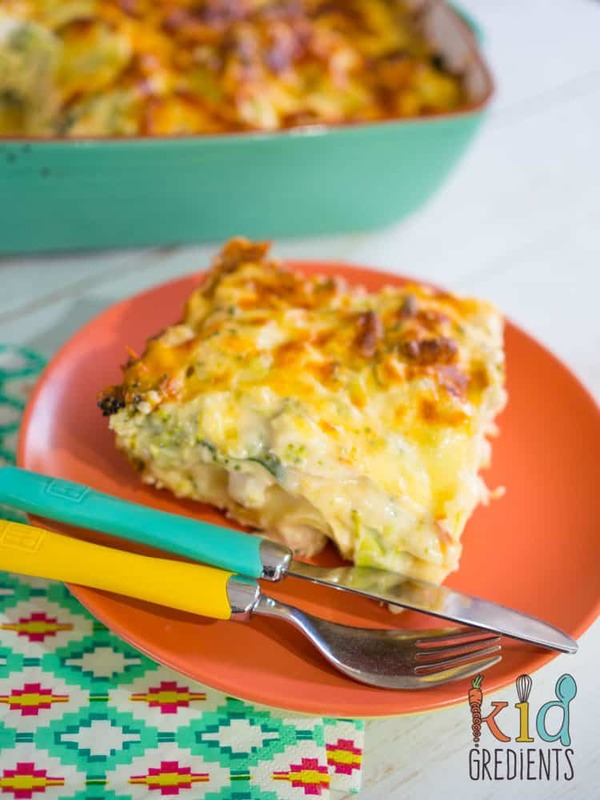 This broccoli and chicken cheesy lasagne is sponsored by Heinz and their new range of pasta sauces, but all thoughts and opinions including recipe ideas and meal suggestions are my own. 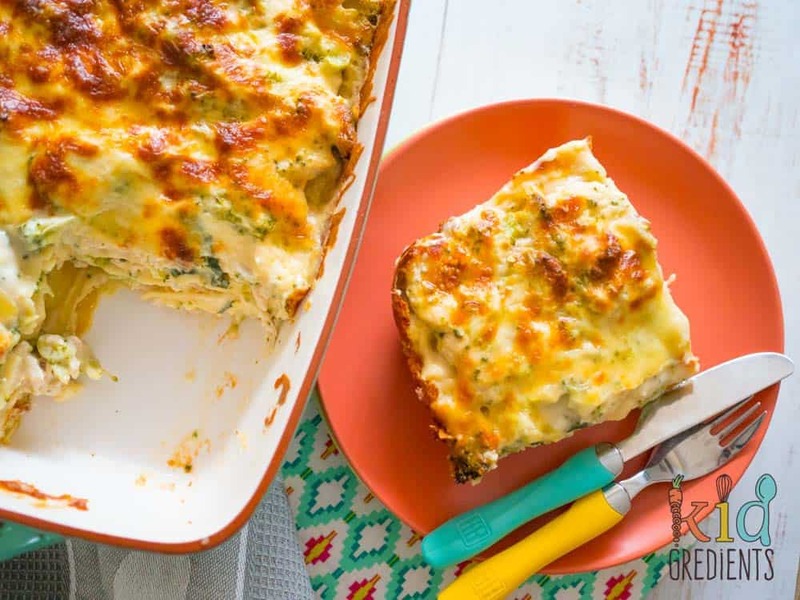 Lasagne is a kid favourite- it’s all those layers of yumminess! 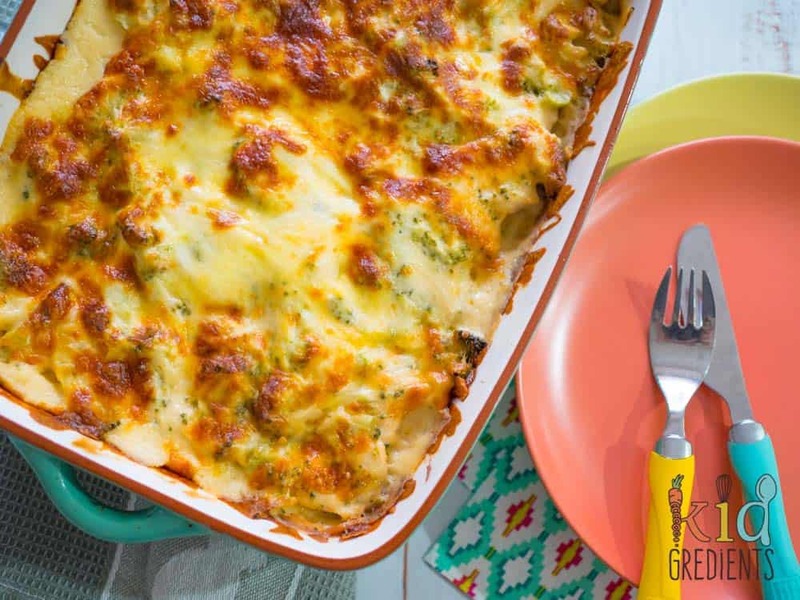 And therefore, this lasagne is designed to please, with family-friendly flavours. 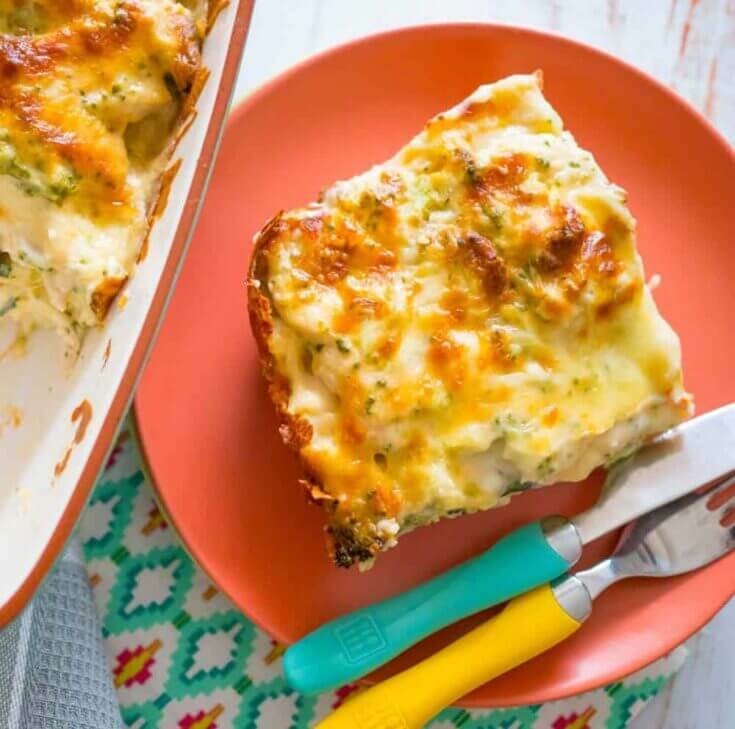 This broccoli and chicken cheesy lasagne bake is an awesome mid-week meal. I’m going to be honest, lasagne for me is tricky as a midweek meal when I make it with mince and veggies and sauces and fresh pasta, so I’m glad to cheat with this one, as the kids love it and it means one of their favourite meals can be on the menu a bit more often. 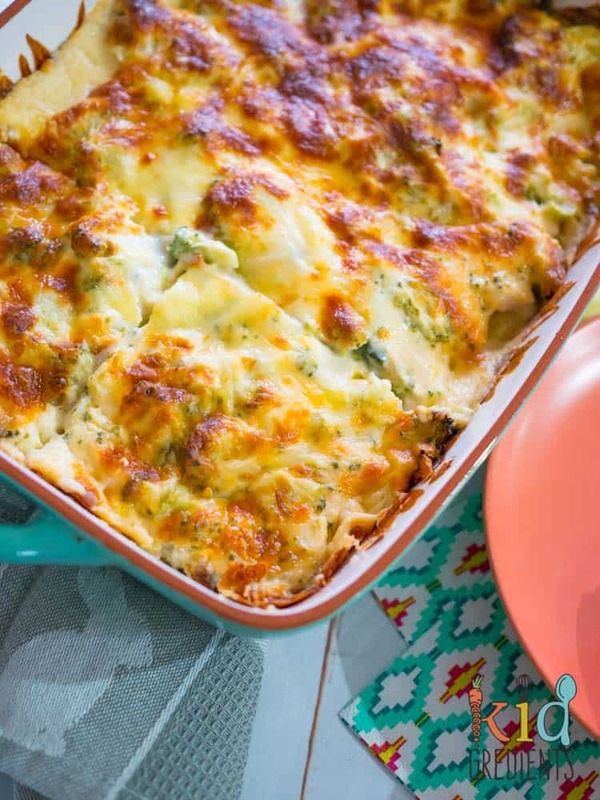 The chicken and broccoli is a good way to change up a family favourite too. 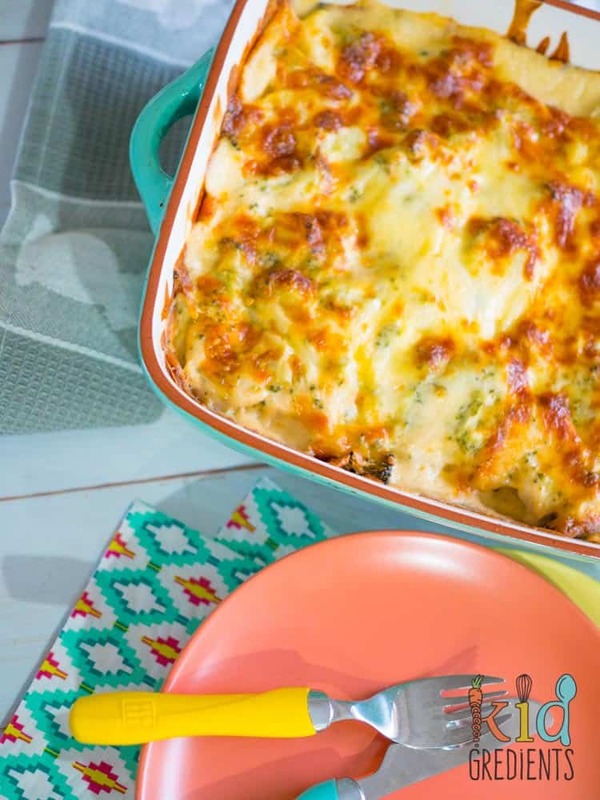 Heinz Four Cheese Lasagne Bake is perfect for making lasagne, or for topping your normal lasagne. The thick and rich sauce adds so much flavour to this dish and works incredibly well with broccoli and chicken. 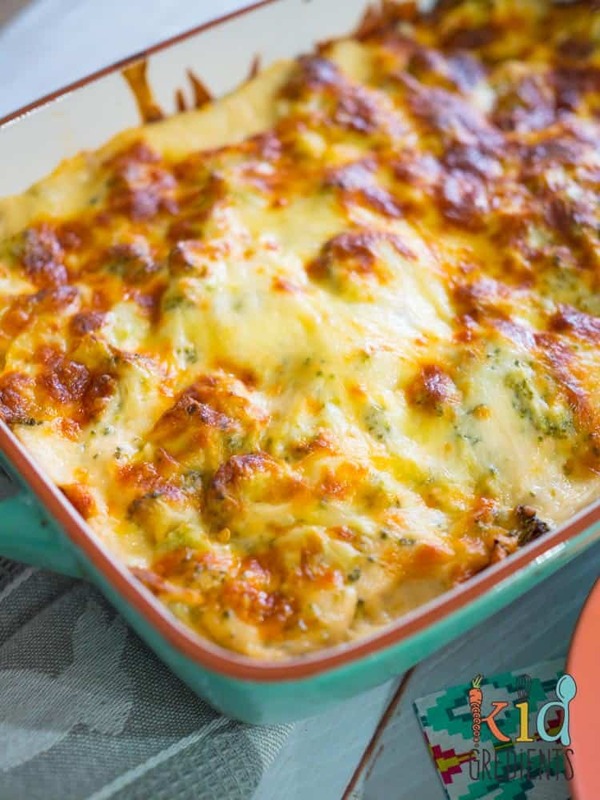 Broccoli is meant to be drenched in a cheesy sauce, particularly in winter! It adds so much flavour to this highly underrated veggie, and broccoli is one of my kids’ favourite veggies. Add the thinly sliced chicken to it and they are in heaven. But what if your kids don’t love broccoli? Well cauliflower can be substituted in exactly the same way, or even try a combo of peas and corn. It’s perfect for asparagus for warmer weather when it’s in season too. You might be wondering why I don’t use fresh lasagne sheets in this recipe? Well, it’s simple, the precooked dried sheets are quick to cook and much cheaper. Using fresh sheets doesn’t affect the cooking time as you need the flavours to mix well together and they do so through cooking, so you’re going to be baking that lasagne for 40 minutes whether you use fresh or dried sheets! 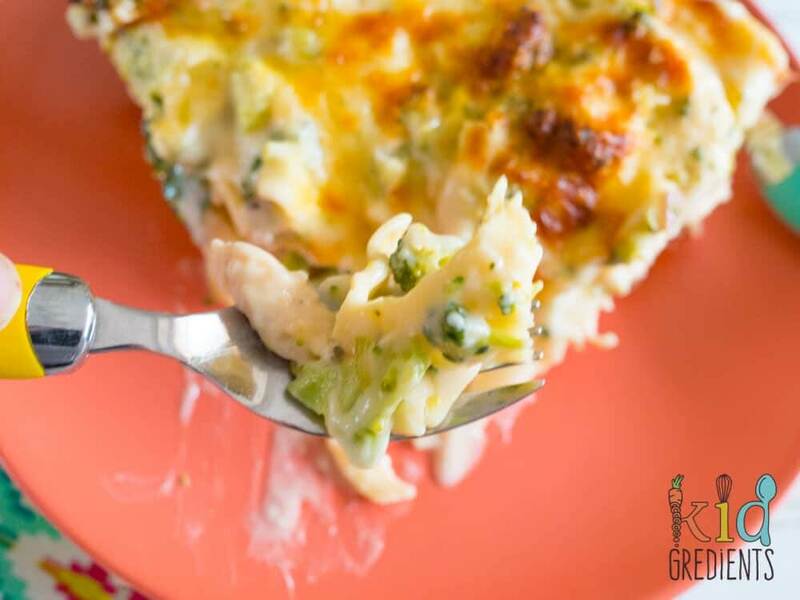 Make sure when you add your broccoli into the lasagne that you add all the little green bits that come off during chopping as they have so flavour and texture to add to the dish. Also, make sure all the pan juices from the chicken end up in the lasagne, they really help with the depth of the chicken flavour. 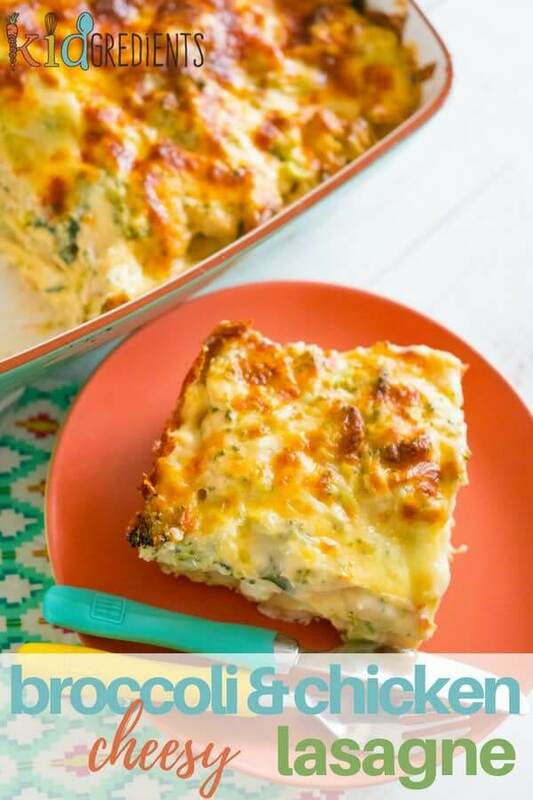 Slices of this lasagne freeze well too, so don’t worry if there is extra left over, in my house, it gets portioned and frozen so dinner is super easy on another night. We’ve been having lots of fun with the new Heinz range of pasta sauces, and also made this yummy special veal parmigiana…it’s a one-pot midweek winner! I have been making it on regular rotation. 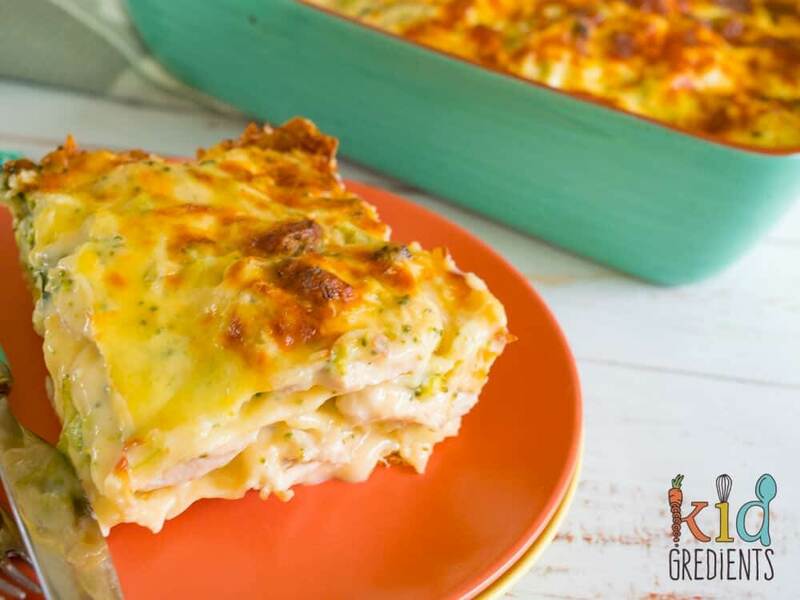 Lasagne is a kid favourite- it’s all those layers of yumminess! 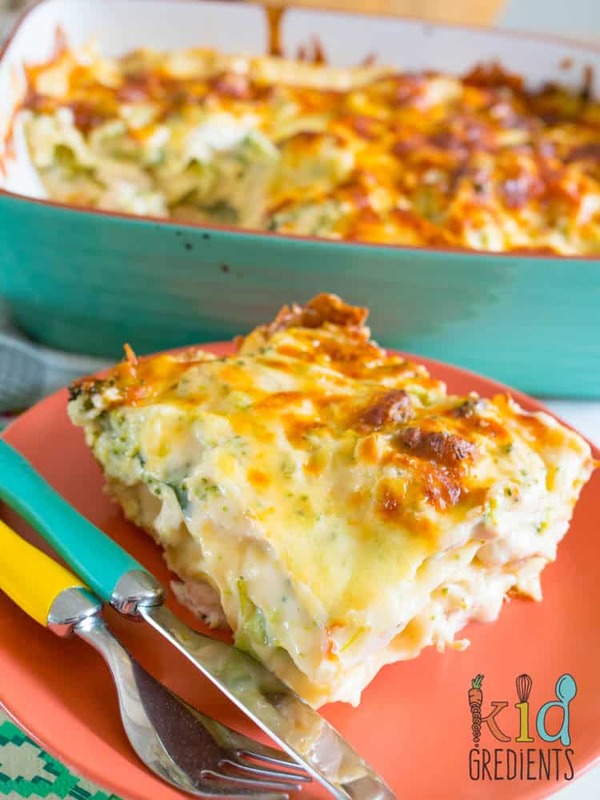 This broccoli and chicken cheesy lasagne bake is an awesome mid week meal. Fry the chicken to golden in batches in a frypan over high heat. Spray some olive oil into the bottom of your dish. Cover the base with lasagne sheets. Top with chicken, broccoli and ½ a jar of sauce. For the top layer: use a layer of pasta, followed by chicken, broccoli and a whole jar of sauce. Cover with foil and bake for 20 minutes, then remove the foil and bake for 20 minutes or until golden. This looks so delicious! Must Pin to remember it.